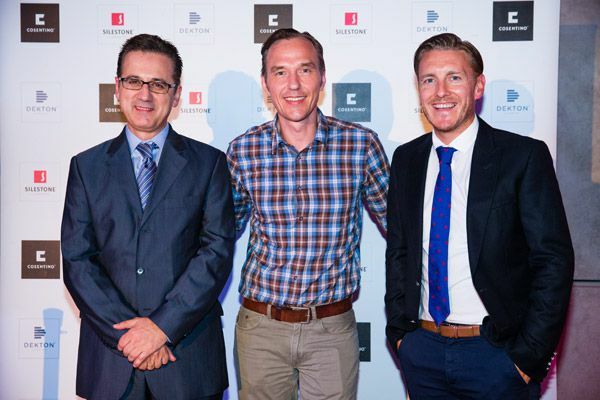 Zapstars Productions at the opening of Cosentino’s new Brisbane showroom and distribution centre. The Cosentino Group has started 2015 with another significant milestone, expanding into Queensland as the business continues to grow its relationships and operations across the country. Cosentino’s Brisbane showroom and distribution centre will showcase and distribute the company’s stone surfaces for its growing Queensland customer base. 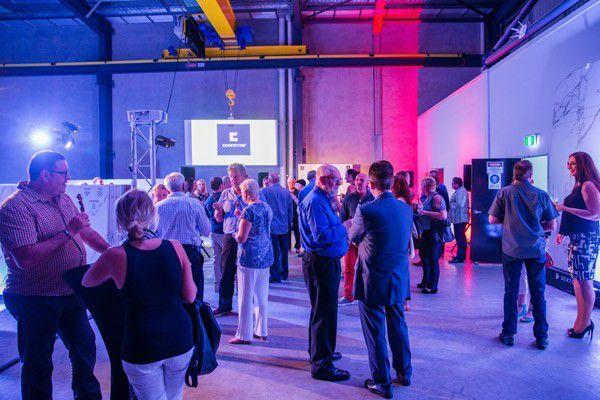 Cosentino’s new facilities, located in the Brisbane suburb of Yatala, will serve as the local Silestone, Dekton and Eco selection Hub and warehouse. 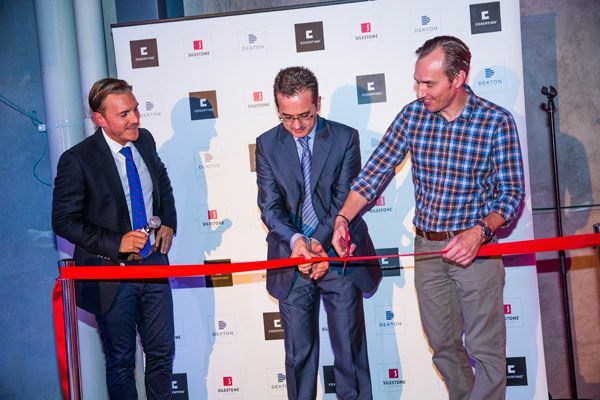 Gary Isherwood, Area Director for Cosentino Australia, Gines Navarro, head of exports, and Queensland General Manager Jason Henschel open the new showroom. The new Queensland facility will be headed up by General Manager Jason Henschel who brings more than twenty years experience in the architecture and design industry. Since launching in Australia in 2011, Cosentino has expanded significantly, with increased operations in Sydney and a new showroom and warehouse facility in Melbourne. To celebrate Cosentino’s entry into the Sunshine State, the company has announced new additions to its Dekton and Silestone ranges are now available for the Australian market. The new Dekton Natural Collection joins the ultracompact surface’s existing product range, with five new colours highlighting the beauty and purity of natural stone, while the new Nebula Alpha collection expands Cosentino’s signature Silestone® range. The five new Dekton colours, Aura, Edora, Irok, Kairos and Vegha, join Dekton® by Cosentino’s initial palette which features 15 colours, divided into three different collections: Solid Collection, Tech Collection and Natural Collection. Within this new collection, Aura stands out in particular as it embodies a new design concept with a single slab design to create a limitless symmetrical pattern. Thanks to eight unique designs, compositions can be created where the veining continues from one slab to the next, giving a true mirror effect called book matching. The Dekton® by Cosentino ultra-compact surface is a new and innovative category of surfaces created with the aim of making Cosentino a global leader in the world of architecture and design for both indoor and outdoor spaces. Cosentino’s signature product, Silestone® also sees the addition of Nebula Alpha, a new collection consisting of four colours, representing an expansion of the well-known Silestone® Nebula series. The new Nebula Alpha collection features four new tones; Calypso, Orion White, Phoenix and Ariel. Subtlety, subduedness and harmony are three words that define Nebula Alpha to perfection, with random and irregular veining combined with colours full of depth, luminosity, warmth and elegance. Part of the Silestone® by Cosentino product range, Nebula Alpha also offers outstanding mechanical properties including hardness, resistance to impact and scratching, low absorption and unique bacteriostatic properties, making it extremely hygienic. Cosentino’s Brisbane operations are located at 8 Gassman Drive, Yatala.